We named this cake after the famous volcano in Naples, Italy. 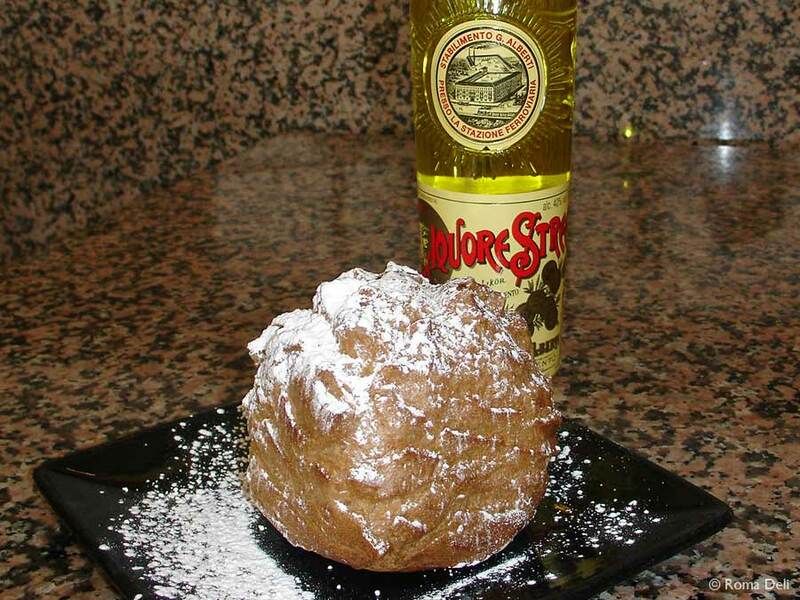 Choux pastry filled with Strega Liquor Crema Pasticcera. Cut into it and watch the cream erupt out of it like lava. It’s big enough to share, but it’s good enough to eat all on your own! As you know we bake all our cakes in our in house bakery and we have a big selection. Like the Italians we use liquor in most of our cakes, Strega being the most popular. The translation of Strega is ‘Witch’ and is made with herbs and spices to make a ‘witches’ brew’. It is used to give our cakes a delicate and unusual taste. Give it a taste, you can buy a bottle from us, or come in and try it in our cakes. You will be spell bound!